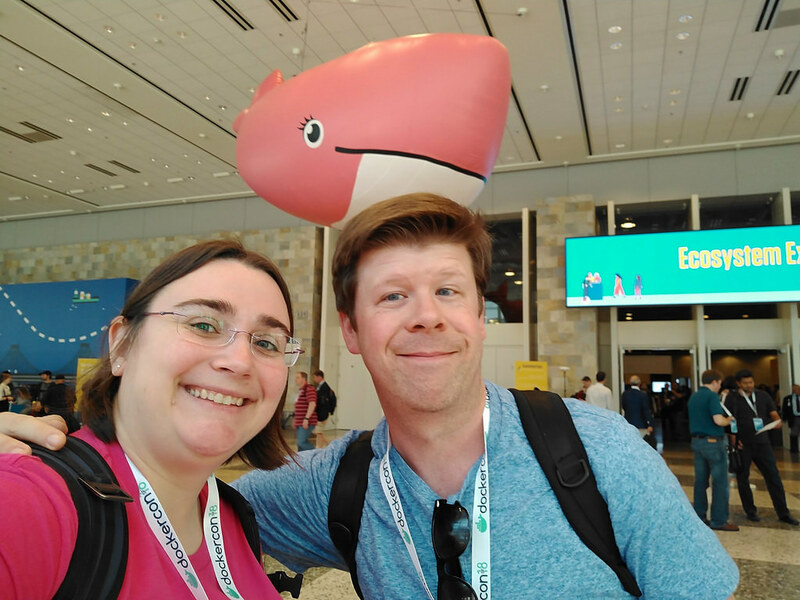 A few weeks ago I spent a couple days commuting up to San Francisco for DockerCon SF 2018 at Moscone West. 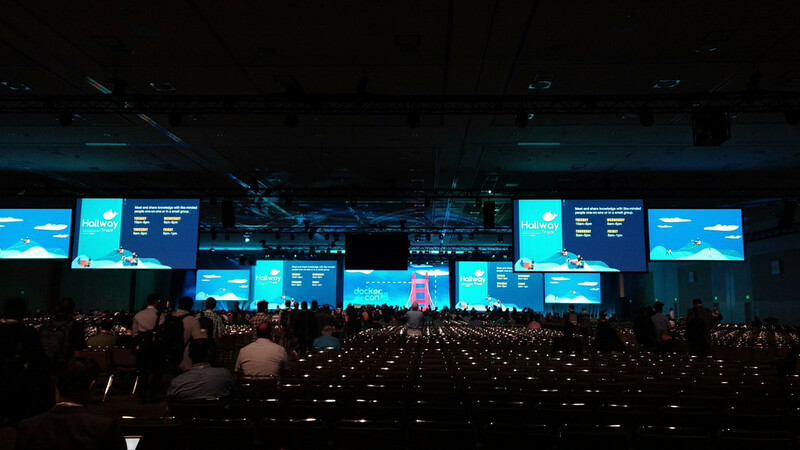 This was my first DockerCon and my second time attending a conference in this venue, though last time was for Google I/O when I was living a couple blocks away so the commute was considerably shorter! I came in for Wednesday and Thursday of the conference, which allowed me to see a couple days of keynotes, along with sessions here and there. The first thing you notice about this conference is how big it is. Coming in at about 5000 people, it’s on the large side of events I go to. Unfortunately the sessions were a bit hard to get into if you didn’t plan ahead by at least a week. The badges doubled as attendee check-ins for the sessions so they could manage flow with guaranteed spots and wait lists. As a result, I missed the opportunity to see a talk by my Mesosphere colleague, though it was nice to see the wait list was also full for his talk! The second thing that because clear very quickly was that, like Puppet, this was a very vendor-focused conference. They keynotes trended very Enterprise-focused both in product and audience, especially on the second day. I think part of this is that they separated out some of the community stuff into other days that I didn’t attend for. The schedule system was also pretty confusing, so it’s possible I just missed things that may have been interesting to me due to how they split up the event to various “theaters” and things that were not necessarily main track talks. 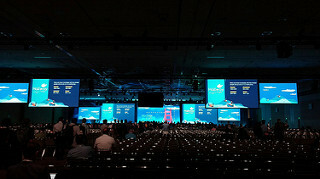 There was a strong theme of avoiding cloud-based vendor lock-in. It’s an important message for me as well, so I did like to see others pushing the message, and their technical preview of a hybrid cloud solution was good to see. I was also there to to pitch in at the Mesosphere booth, which I did both days! On Thursday headed out to lunch and meet up with my friend John, in town from Philadelphia. Talk-wise, I ended up in few that were less interesting to me due to the proprietary nature of their solutions and focused more on the product than how they solved specific problems in a more general way. However, I really enjoyed a talk by Ilan Rabinovitch of DataDog who shared adoption trends gleaned from statistics that DataDog collects. 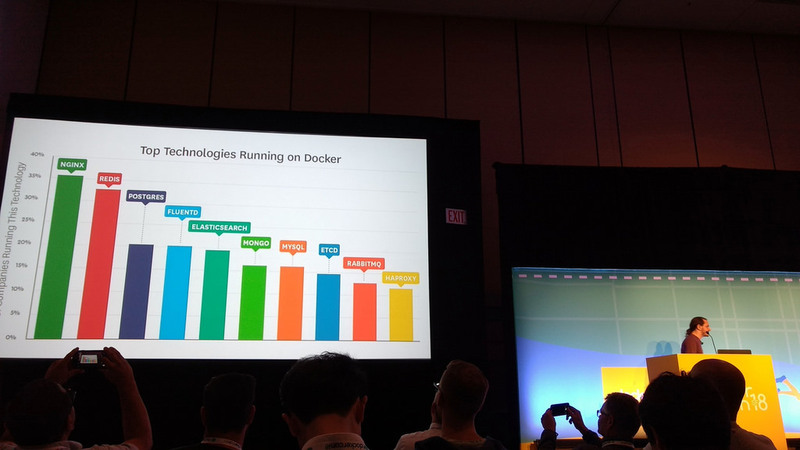 This gave insight into the most popular workloads (ngnix, Redis) and how many were using orchestrators like Kubernetes, Docker Swarm and DC/OS (about 50%). Perhaps most fascinating for me though was the lifespan of a typical container, which comes in at about 2 days, and is less than it was in previous years. Broken down further, the lifespan of a container in an orchestrated environment is actually 1/2 a day, and unorchestrated is 6 days. For those of you following along at home, a shorter lifespan is typically better, since it should point to a system that’s resilient, automated (perhaps driven by a CI/CD process), and updating containers as needed rather than letting anything get outdated or otherwise insecure. I also enjoyed a talk about Itsio, since they dove into the specifics into why traditional tooling for monolith applications isn’t well-suited for a microservices world. 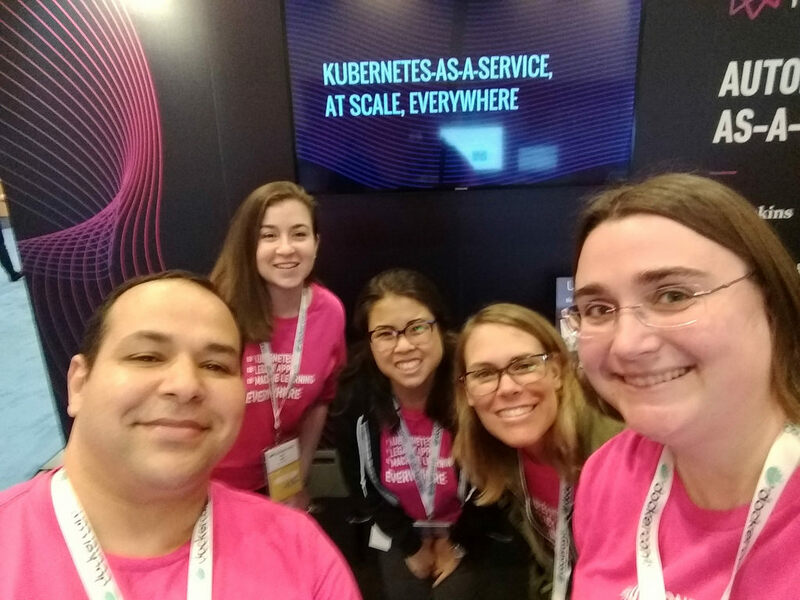 They went into the basic architecture of an Istio deployment by explaining what each component was, talked about features of the next release, and gave a demo. I’m glad I went to experience it and meet up with folks who I know from the community, but I think this conference tended to be on the less valuable side for me. Maybe if I had attended previous ones I may have understood the format a bit better, or if I was actually more involved with the community directly I could appreciate some of the breakout sessions. 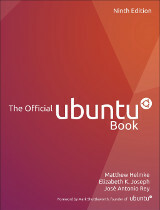 As a peer in the container space and open source enthusiast, I think it just was a bit too product-focused for me. Back to pure open source and DevOps events for me! This entry was posted on Thursday, June 28th, 2018 at 12:34 pm and is filed under events, san francisco, tech. You can follow any responses to this entry through the RSS 2.0 feed. Both comments and pings are currently closed.